Newington’s earliest overseas boarder was Francis Curwood, entering in 1867. His family were Wesleyan missionaries in Tonga. Native Tongan students first boarded at Newington in 1896. Our earliest known overseas boarder of non-European origin was Ratu Josefa, the son of King Thakombau of Fiji. Arriving in 1872, he brought a traditional Fijian canoe with him, using it to take boys on outings up the Parramatta River, reportedly always with a frying pan and sausages for lunch. The Founders Building (1880),which included boarders’ accommodation for over a hundred years, initially had no boarders’ bathrooms. Each weekend boys were taken in batches to the Bootroom where ‘Old Martin’ had arranged tubs of warm water for bathing. In the 1940s, 1950s and 1960s, many boys from Chinese families in Papua New Guinea and New Britain boarded at Newington. Newington Boarding nearly ceased in the 1980s. After a decision in 1980 to phase it out, Boarding was revived in 1985, though on a smaller scale than had historically been the case. 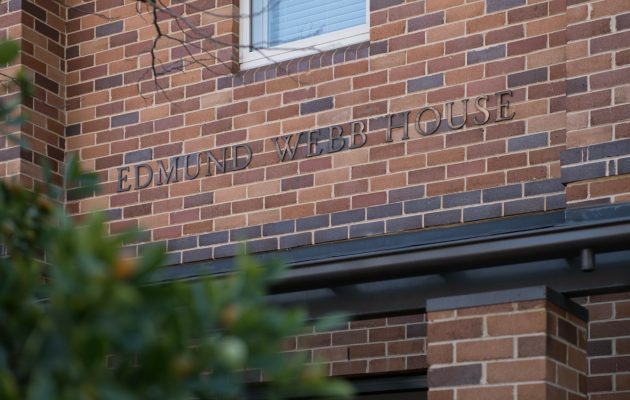 The Edmund Webb Boarding House is named in honour of an important man in Newington’s history whose keen advocacy and benefaction in the 1870s were instrumental in the College’s move to Stanmore in 1880. The College has been looking to restore Boarding as an essential part of our core programs. This campaign has especially focused on renewing the country presence in the Boarding House. 37% of boys are from overseas; 42% of boys are from Regional and Rural NSW/QLD; and 21% of boys are from metropolitan Sydney.